Please join us for a series of presentations delivered by well-respected and knowledgeable members of our sailing community. These presentations are suitable for sailors for all experience levels and skippers and crew members alike. No matter how long you have been sailing for, everyone will be able to gain some new knowledge and understandings from these sessions. Held on Tuesday evenings in the River Room at RPYC, you may also choose to make an evening of the occasion and enjoy Tuesday night dining at the Club. Please book with the Wardroom on 9423 5511 and let them know you will be attending the presentation. Will Hammond has been running his own sail making business for the past 30 years and is the owner of the Doyle Sails Perth loft. 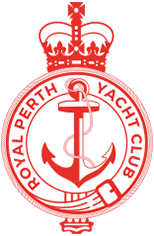 Will is regarded as one of the most experienced and successful sailmakers in Perth and has competed in and won numerous major events. Will is a regular sailor on the Swan River and looks forward to the opportunity to share his knowledge on sail trim and set-up.